Flower artist and stylist team The Wunderkammer opens a new exhibition and shop on Friday, May 25th with the theme ‘A Rose is a Rose is a Rose’ in our gallery. 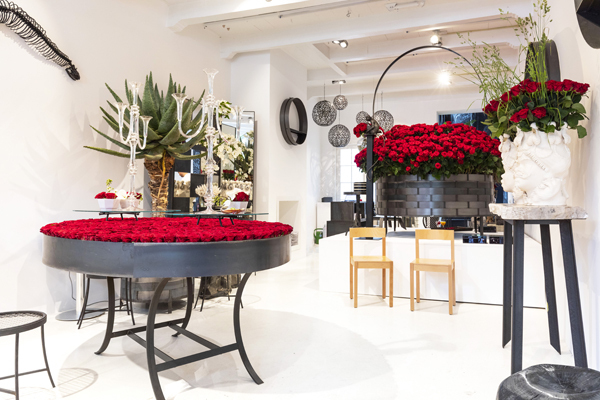 This twentieth edition of the popular Shop for a Week concept is under the artistic direction of master florists Ueli Signer and Florian Seyd and was created in collaboration with Aleia Roses, Spanish grower of the famous Red Naomi! ® roses. For the anniversary edition The Wunderkammer creates a sensory experience. 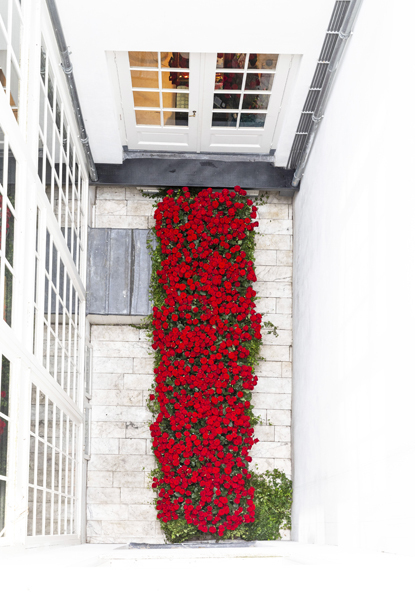 The Shop for a Week – Rose is a Rose is a Rose is an artistic creation where the visitor can wander and marvel, in an imposing setting of more than 10,000 beautiful roses. The Wunderkammer invites you to get lost between these roses, breathing them in, experiencing them and enjoying them to the maximum. Life is about love and what symbolizes love better than a red rose? The Shop for a Week is spread out over different areas. In the gallery, the feeling is tight and modern. Here you will be standing next to large metal baskets, a design by Ueli Signer, filled with thousands of roses. The rose and round shapes are leading here. In the “stijlkamer”, a rich and warm decor is set up that matches the 17th-century ceiling. Here The Wunderkammer takes you to the origin of their name, a space full of wonders, sculptures, ornaments and self-created objects. A large aviary designed by Ueli Signer stand at the center of this room. This space breathes what The Wunderkammer is known for, beautiful decorations in a warm atmosphere. 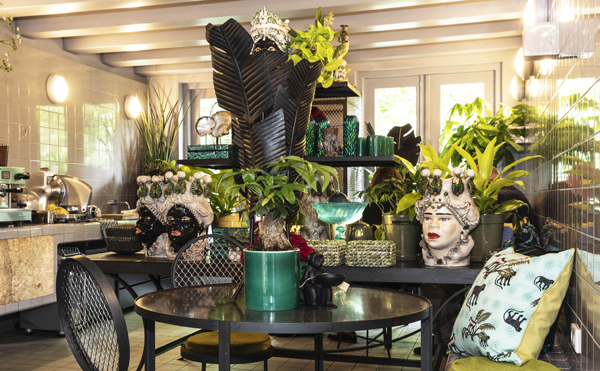 The garden room is decorated like a courtyard garden, special plants, beautiful handmade pots and botanical rarities are shown here. Ueli Signer has created new objects and furniture from steel especially for this shop. New artworks of Klaus Dupont will be present at this 20th edition, since his works are a permanent component of The Wunderkammer collection. And Hilde Trip has created art works from dandelions. The Shop for a Week is open from Friday, May 25th to Sunday, June 3rd from 11 am to 6 pm. Access is free. The Wunderkammer has created styling and floral decorations for private yachts, high-end hotels, five-star restaurants, global fairs and events, as well as a number of international A-list weddings. 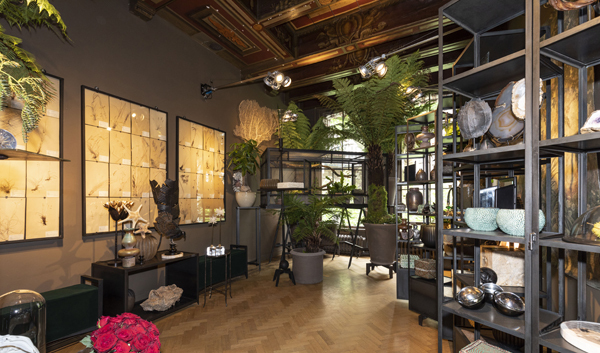 A favourite amongst the fashion crowd, The Wunderkammer works with in-house departments on the curation of natural objects and decorations for the global showrooms of Tommy Hilfiger, Scotch & Soda, Calvin Klein and Karl Lagerfeld. the duo is frequently called upon to design and recreate spaces for both commercial and private exhibitions. Along with their commissioned work The Wunderkammer produces a bi-annual Shop for a Week and offer a unique collection of objects and artefacts through their showroom and webshop.